Allen is Vice President, Client Management with Optimé, responsible for the leadership of several strategic clients, along with Optimé’s coaching practice. Allen is a strategy consultant, Certified Executive Coach, and Accountability Evangelist who specializes in business development for people, teams and businesses. Allen has an impressive track record providing a clear picture of organizational vision and resources required to meet objectives in an efficient and effective way. Allen believes that successfully delivering profitable results requires a personal commitment from each member of the team to deliver specific, goal-oriented actions. 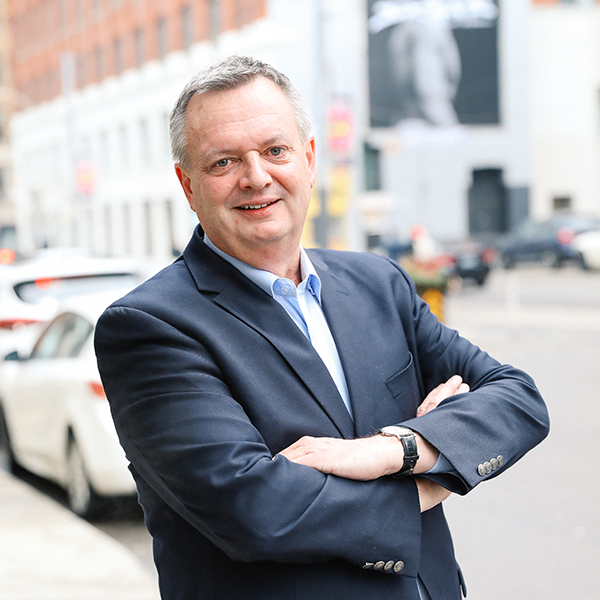 Allen is an expert at aligning business systems – people, processes and policies – with strategy and instilling personal accountability throughout the organization to deliver results and build great leaders. For the last twenty years, Allen has passionately developed, mentored, trained and led high performing teams in a range of industries to increase sales, develop new products, enter new markets and deliver customer experiences that fulfill brand promises. Allen has worked in multiple capacities at TD Bank, including Vice President and Managing Director for TD Waterhouse in Australia. Allen also worked as the Senior Vice President Customer Strategies at the Canadian Securities Institute leading fundamental corporate change initiatives.